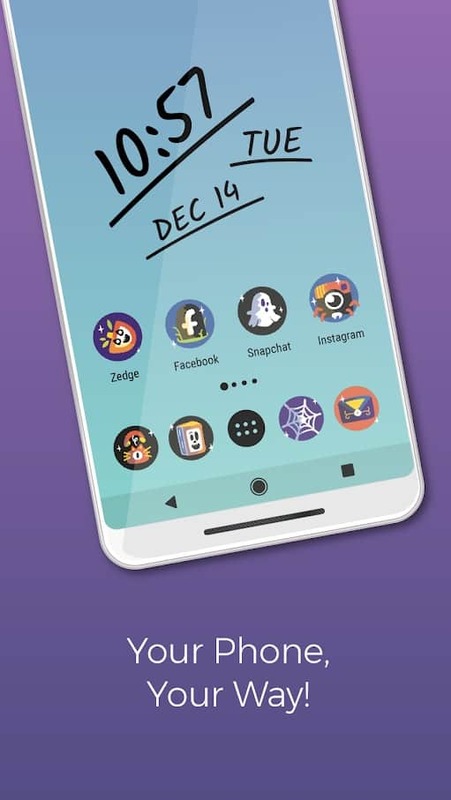 ZEDGE has been around quite some time, and in its current iteration, it really is the end-all, be-all of one-stop device customization. Options in this app aren't incredibly deep, but they're far more than numerous enough to make up for that. You'll find an absolutely massive database of sound bites of all sorts, including bits of music, to use as ringtones, alarms, notification sounds, or whatever other purpose you may want them to serve. On top of that, you'll be able to change up your wallpaper, download apps and games, and even change your home screen icon theme and keyboard theme, if you have compatible apps on hand or are willing to download them. ZEDGE lacks one major feature, and that's the ability to use whatever sound file you want, and whatever parts of it you want, to create a ringtone or system sound. Fans of the late, great Ringdroid may think the interface here looks familiar, and they would be right; this app piggybacks off of the open-source code from the Ringdroid project to create a simple, full-featured ringtone creator and editor. Whether you want to hear your contact sing their own name when they ring in or you want to play an obscure sound from a favorite old cartoon, this app has you covered as long as you have an audio file on hand. It supports a range of formats like MP3 and WAV, and can assign ringtones straight from the app, as well as export sound bites, making it handy for cutting down MP3s for any reason at all. This is another ringtone app that provides something that ZEDGE just can't - simplicity. Z Ringtones has a category listing, you go in, you pick a ringtone, or search for one, you preview it, you assign it, you're done. The app requires no signup, and is completely free with no ads. If you want a lightweight, easy-to-use app that can get you nearly any ringtone or system sound you may want, this is the one. The first few entries covered a wide variety of apps to serve wide audiences, but now the list is starting to get into more niche, purpose-oriented apps, and this is one of them. As the name implies, this one allows you to make personalized ringtones that put a contact's name into a song, or just announce who's calling. This makes it far easier for busy people to screen their calls, since it eliminates the need to pull your phone from your pocket to see who's calling or remember what songs and tones you had assigned to whom. Dead simple apps that do exactly what they say they do and not much else are the lifeblood of busy or disorganized Android fans, and this app is one of them. As the name implies, you add in a selection of ringtones, either by adding in audio files or by picking the default ringtones in your system, and it will randomize them on each occurrence. This can be done with ringtones, notifications and alarms, but unfortunately cannot be done per-contact or per-app. Otakus can be found just as far and wide as Android devices, and this app is here to serve their needs. It's a double-duty soundboard and ringtone app. You can pick from different categories or search for what you want, then play it on the spot or assign it as a ringtone, alarm or notification. The selection of anime-themed content is far deeper and wider than you'll find in contemporary apps of this sort, so if you want your phone to declare your anime fandom loud and clear, this is your app. Another double-duty soundboard and ringtone app, this one caters to denizens of the net. Whether you just found ifunny yesterday or you've been on 4chan since 2004, this app has the choicest, dankest memes in audio format, ready to be played at your whimsy or assigned as ringtones. As with all things pertaining to internet culture, some of the memes won't be to everyone's taste, so be warned. If the last entry left you wanting for some class and decorum, look no further than the grandiose and masterful compositions of Bach, Vivaldi and Schubert, among others, that this app can bring to your phone. This one boasts 13 subcategories of classical ringtones with over 300 tones within, all neatly arranged for browsing. Searching for your favorite composer or piece is also an option, of course. Classical music is often associated with stuffiness, but it holds untold emotion and energy, so this app is for those who need ringtones that are truly devoid of almost any personality. This app contains a range of generic tones that are perfect for a subdued business environment. 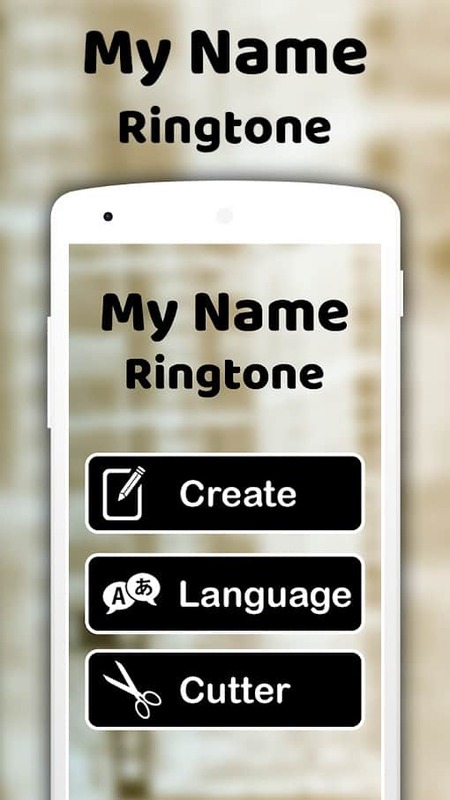 Whether you want a ringtone app for your work phone or you just want something calm and boring to contrast the chaos of life in general, this app likely has something for you. It's worth noting that the app may look abandoned, but it's not; it was blessed with fresh tones and some bug fixes back in January, despite what the archaic-looking ads and old-school Android 4.0 Ice Cream Sandwich "Holo" look may suggest. You would certainly be excused for wondering what this app is doing here, but as it turns out, you can not only bang out a smooth melody on this well-crafted virtual keyboard, you can also export it and save it as a ringtone, alarm or notification. Apps that follow the Ringdroid mold may let you do something similar if you have some instruments lying around with which to create a music file, but this one simplifies things significantly. Just jam out on the keyboard, which can be set up with a number of different instruments and even has a dual-row mode, then let your phone blast your composition proudly to everybody around. Thanks to USB MIDI support, musicians will find this app makes it that much easier to turn their masterpieces into ringtones. Just plug in your MIDI compatible device, like a synth, keyboard or even certain electric guitars, and jam out to give your phone a truly unique sound that you know for a fact will never be mistaken for somebody else's device in a crowd.